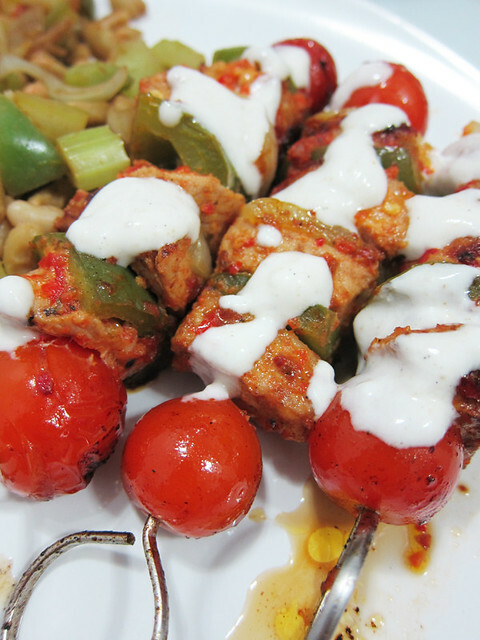 Slow carb friendly – Peri-peri pork kebabs. If you’ve made the peri-peri sauce that I’ve blogged about before, this recipe would be super stress-less to make! 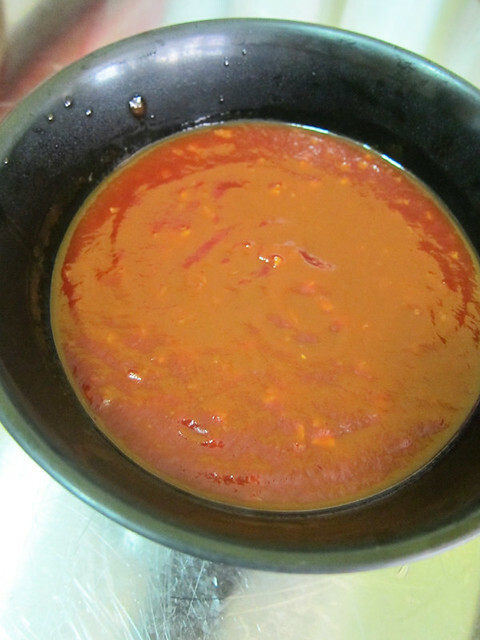 I made about 1 litre of peri-peri sauce last week and it’s such a superb concoction! Great as dipping sauce as well as a marinade. 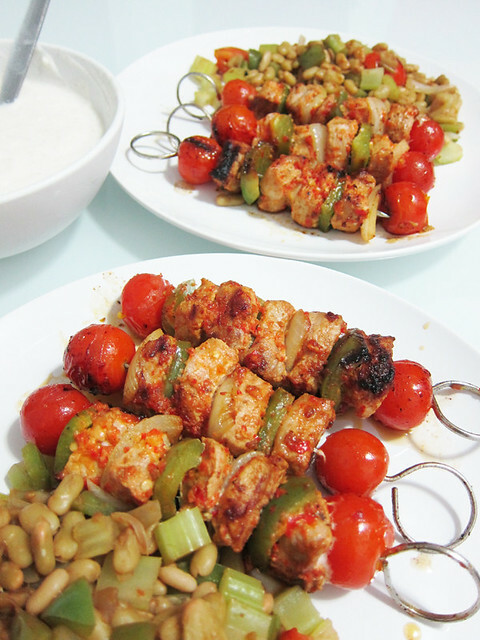 # – Peri-peri pork kebabs. 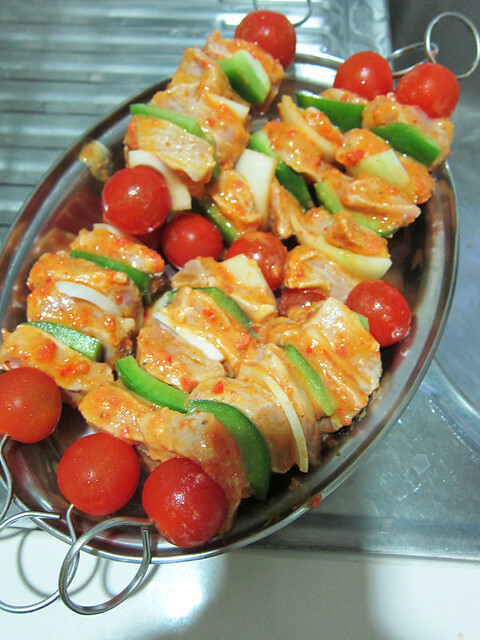 And so….I decided to make these pork kebabs by marinating the meat in the peri-peri sauce overnight. They were delicious! Tender, flavourful and absolutely juicy. 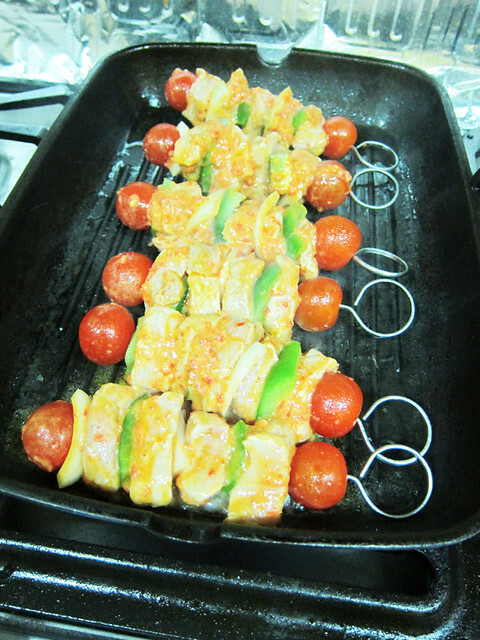 # – First, pour the peri-peri sauce over the pork cubes and marinade overnight, covered. 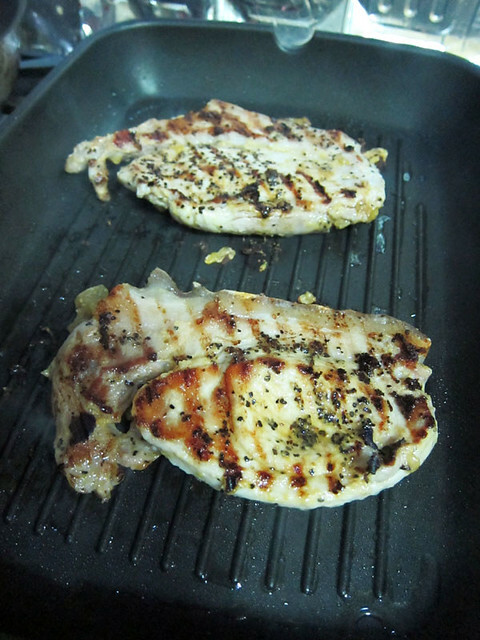 # – Heat up a griddle that’s evenly coated with cooking oil. When it’s really hot, place the skewers on it. Cook for about 5 minutes then turn to cook the other sides. 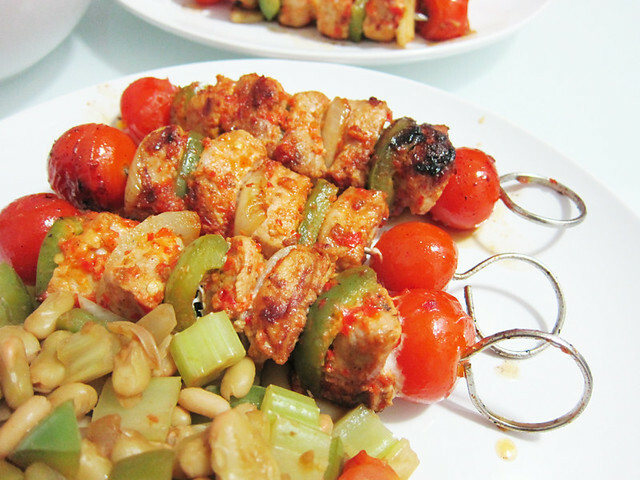 # – Peri-peri pork kebabs, DONE! 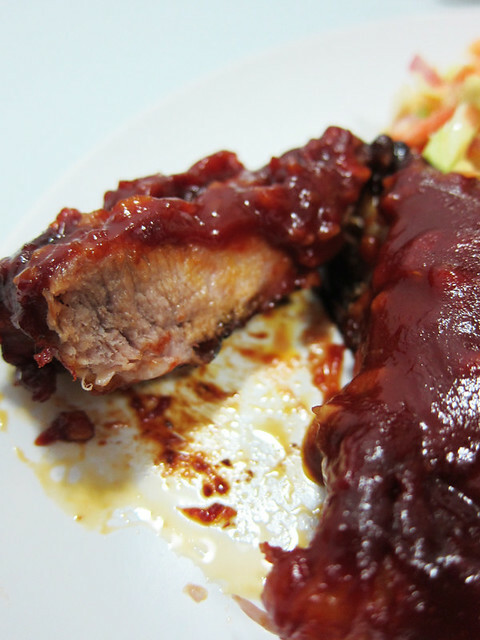 Sweet and sticky baby back ribs recipe. I am extremely pleased with this recipe! It’s quite simple to make really and the baby back ribs were juicy, succulent, flavourful and practically falling off the bones. It was so delicious, I honestly wish I had made MORE! It made me want to eat baby back ribs everyday! 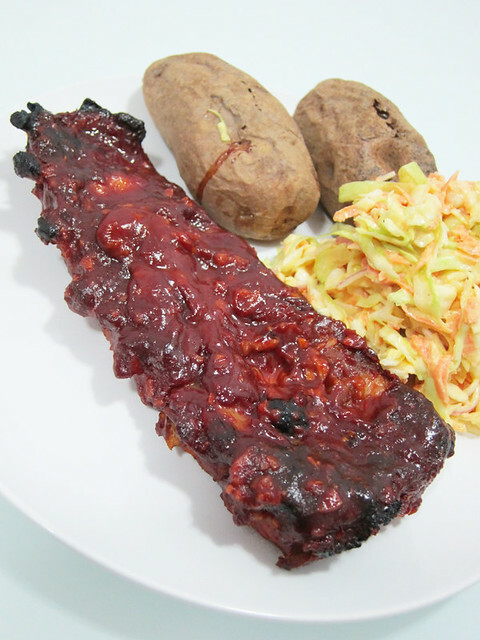 # – Sweet and sticky baby back ribs. The surprising thing was I used frozen ribs (bought them fresh but due to bad timing I had to freeze them for a few days) and seriously, you wouldn’t be able to tell the difference. 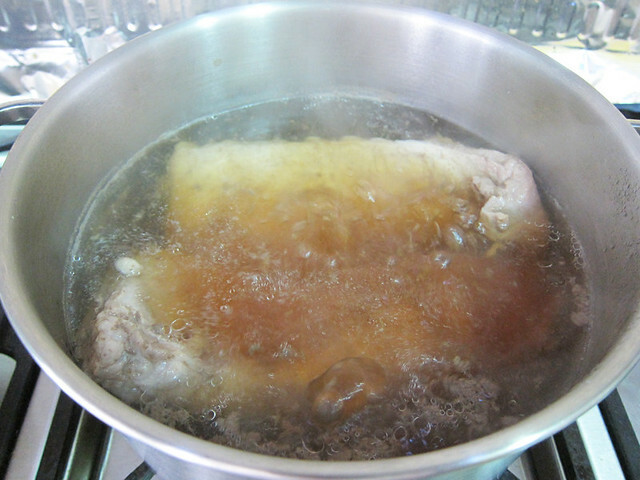 # – First, submerge the ribs in a pot of water. Then pour in the soya sauce. # – Bring to a simmer and let it boil for 15 minutes. Turn off the heat and let it cool down for 1/2 to 1 hour. # – In the meantime, prepare the marinade. 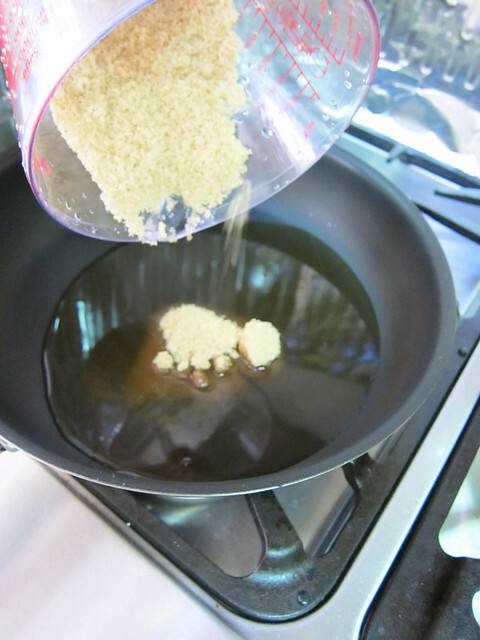 Pour the Shaoxing wine into a heated pan, followed by the brown sugar. 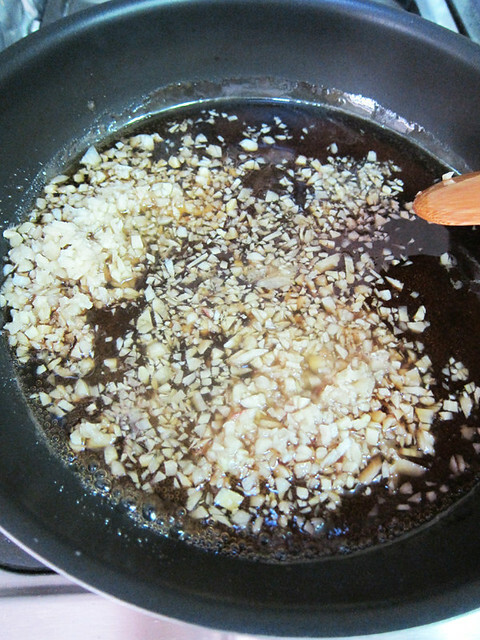 # – When sugar has dissolved, add in the finely chopped ginger and garlic. Bring to a gentle simmer. 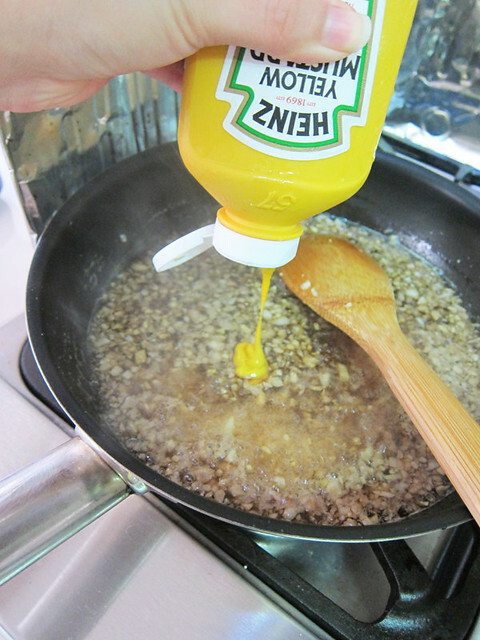 # – Then, squeeze in a dollop of mustard. 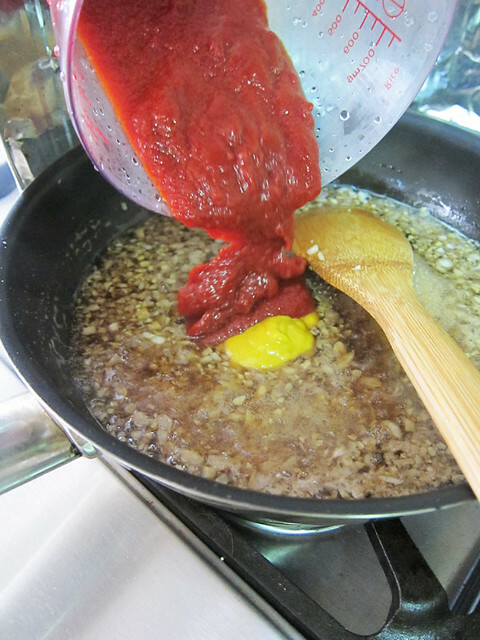 # – Followed by the tomato puree or ketchup if you should fancy. Stir to combine. 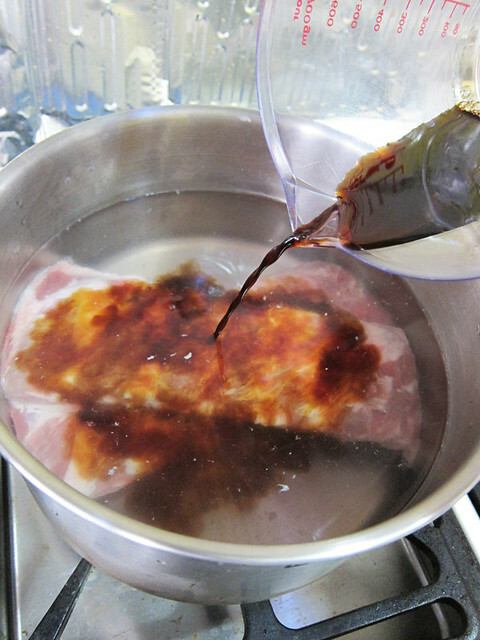 # – Pour marinade into a bowl to cool down slightly. 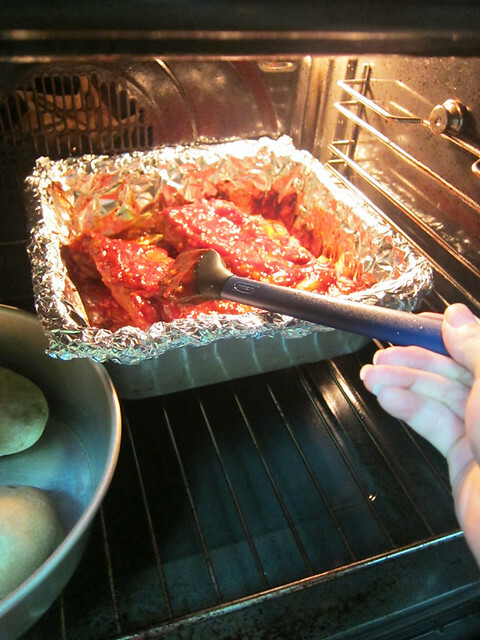 # – Place the ribs in a tray that you’d be roasting them in. I suggest lining it with foil for easy cleanup later. 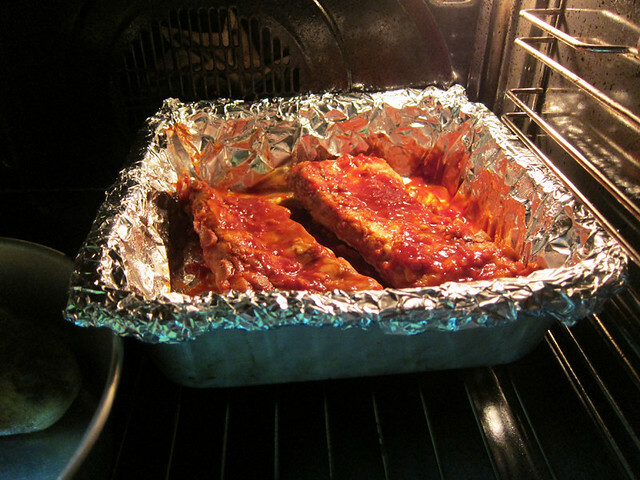 # – While the ribs are still warm, brush about 1/4 of the marinade all over them, coating evenly. 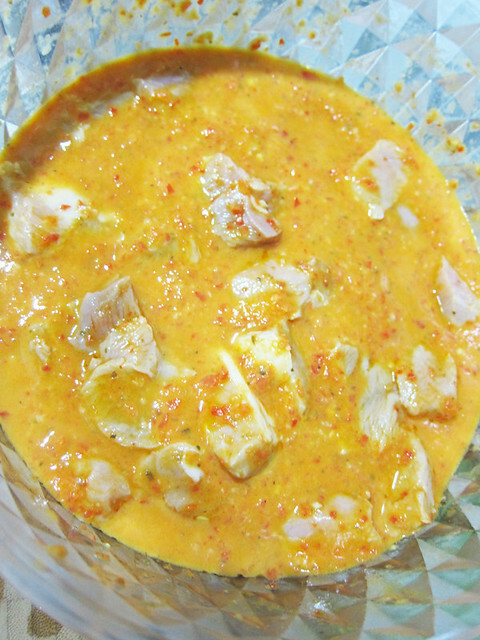 Cover and refrigerate the remaining marinade. 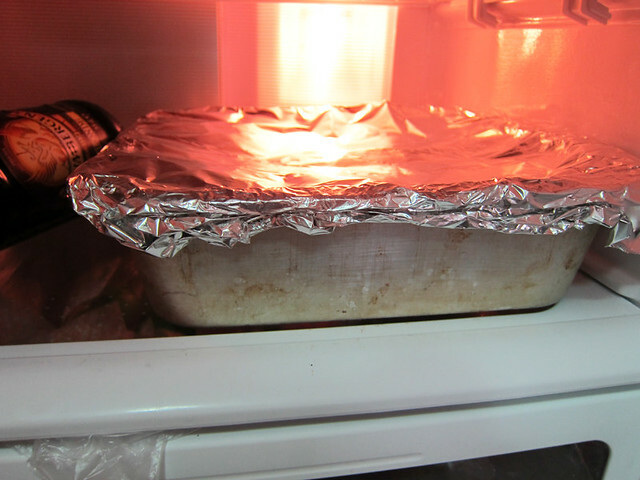 # – Cover the ribs with foil or clingwrap and stick it in the fridge to chill for a minimum of 2 hours. Overnight is best. 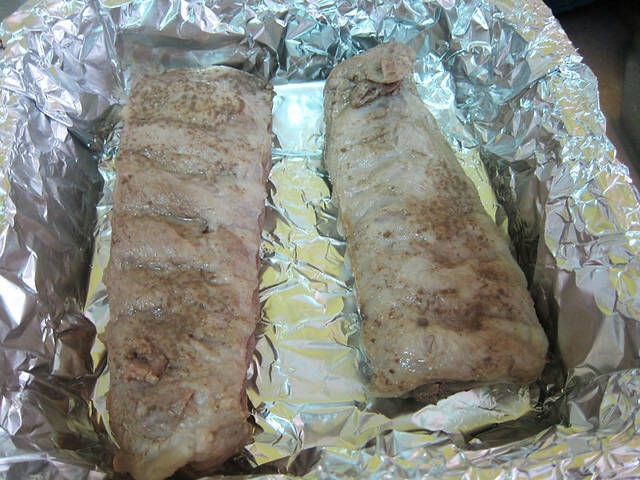 I did mine just 2 hours though and it was so good…imagine if it had marinaded overnight!!!!! 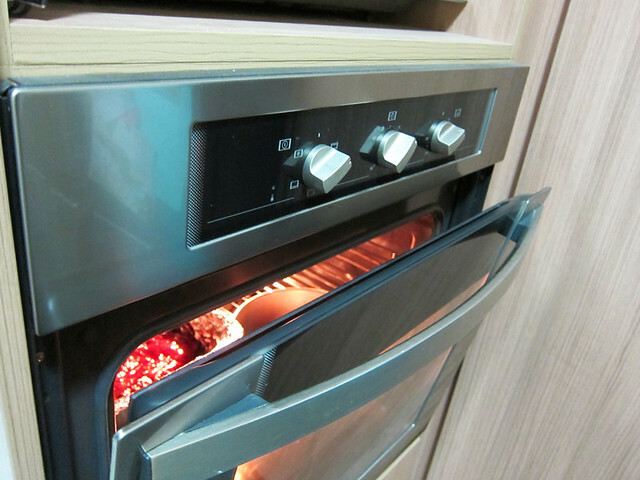 # – When ready to cook, stick it in a preheated oven at 220 degrees celcius for 40 minutes, curved sides up. 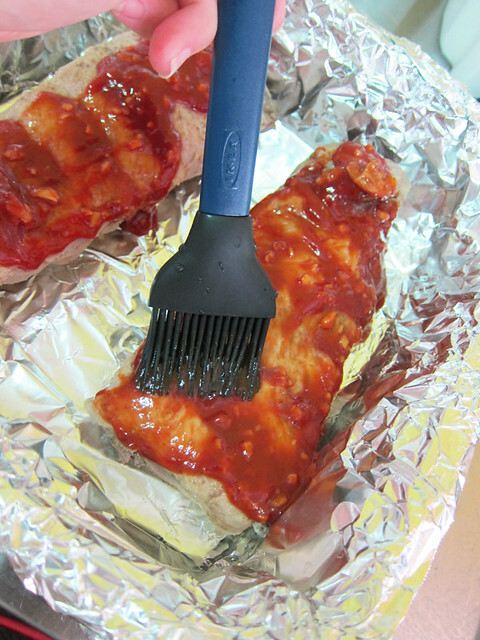 # – Brush the marinade all over the ribs at every 15 minutes for 2 times. 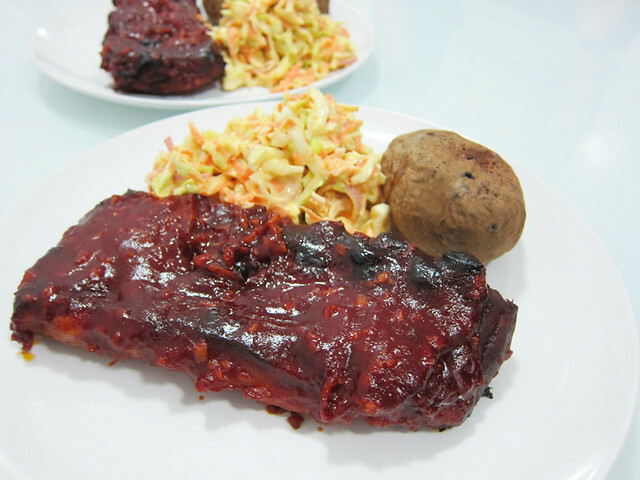 # – Sweet and sticky baby back ribs, DONE! Serve with baked potatoes and homemade cole slaw. # – I love ribs! This recipe was actually adapted from the recipe that belongs to one of my favourite TV judges, John Torode. 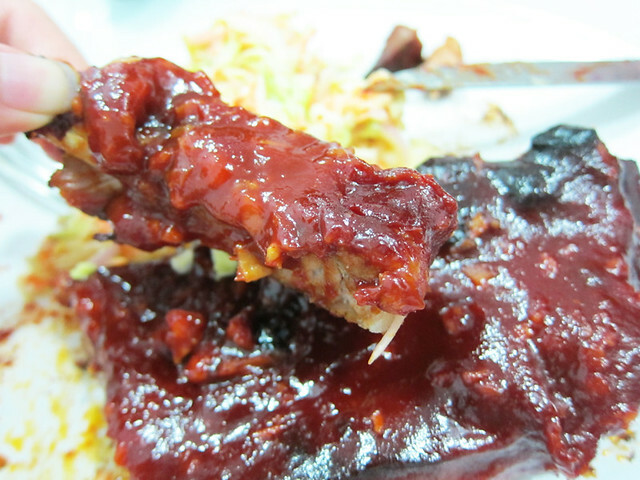 Thank you for gifting me with simple to make but stupendously awesome baby back ribs. This was an experiment that turned out really well. 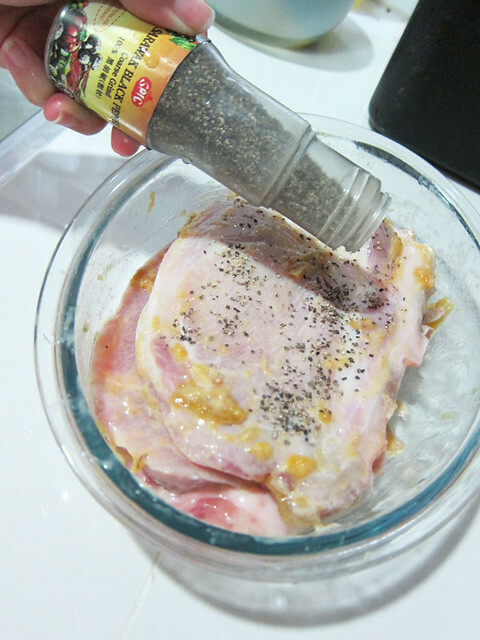 I wanted to grill some pork chops but was unsure of what to marinade the chops in. When I opened my fridge, the bottle of salted plums called out to me. I love salted plums! I use them for this salted plum lemonade drink that is possibly one of my favourite drinks ever. This recipe is so mind-boggling easy….all you need are 3 ingredients. YES, only THREE! # – Salted plum pork chop. 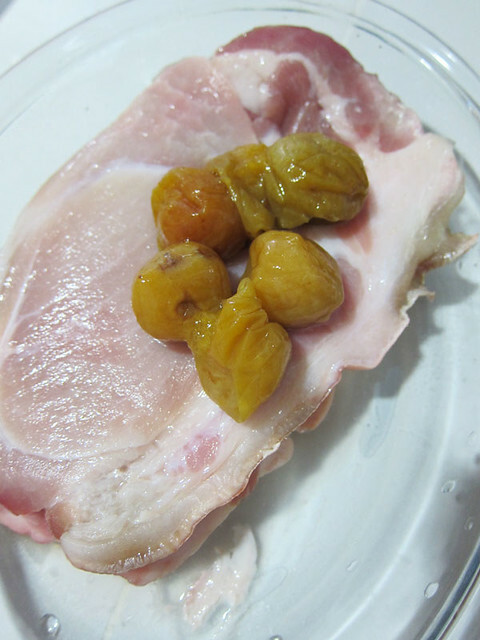 # – First, in a bowl, throw in salted plums and pork chops. 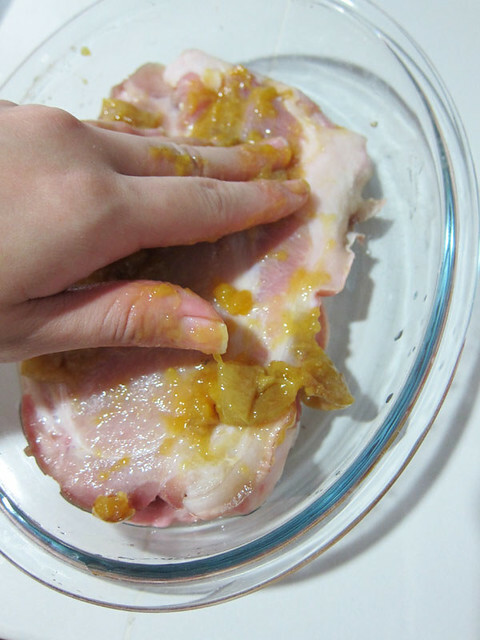 # – Squash the plums and massage the chops with the flesh for 2 minutes. 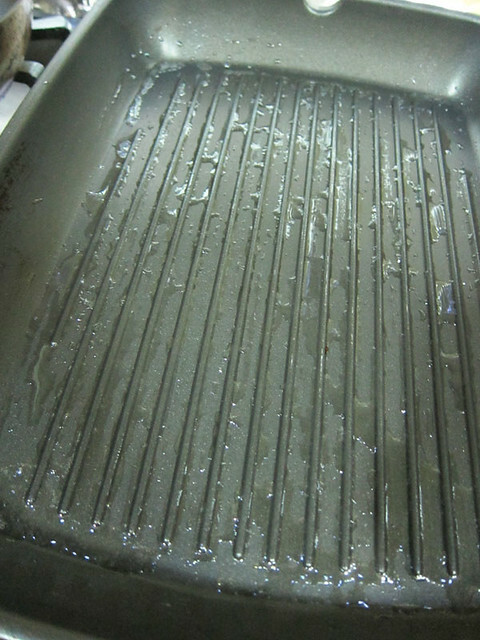 # – Heat up a well greased griddle till when you flick a drop of water in it, you will hear it sizzle (this is a method to check that your pan is hot enough). 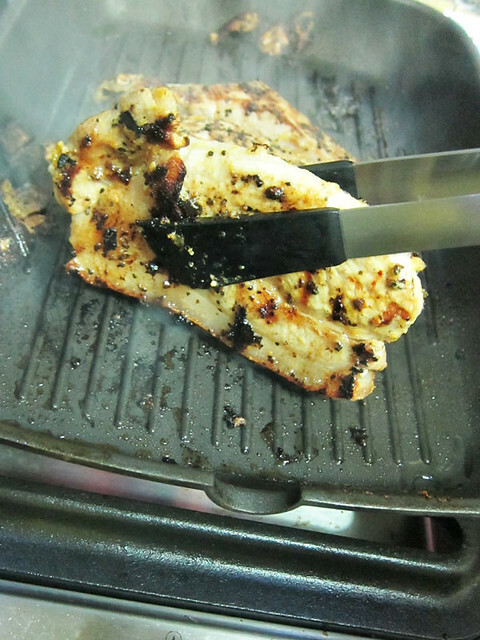 # – Lay the chops over the griddle for 5-8 minutes depending on how thick the chops are. 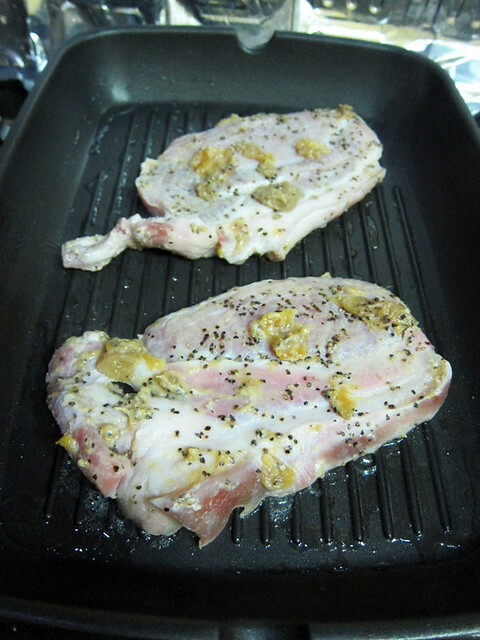 # – Then turn over the chops and cook for 5-8 minutes as well. 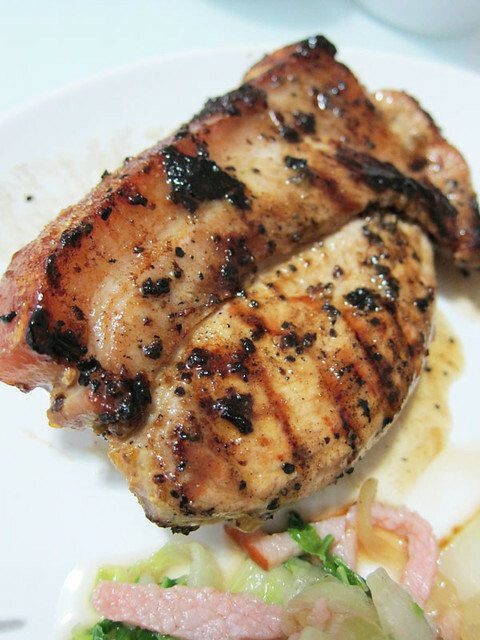 # – Salted plum pork chops, DONE! 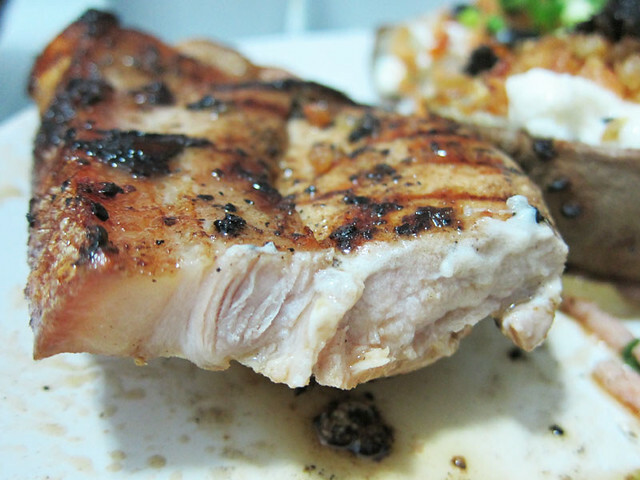 # – Juicy, succulent pork that’s perfectly flavoured with a bit of kick and crispy crackling to boot!